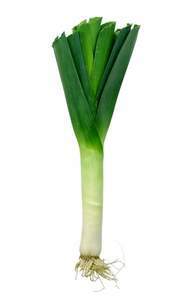 Here is a quick reference guide on how to grow leeks. Leeks are hardy annual vegetables which are space-efficient and suit cooler climates. Position: Open and sunny. Fertile, previously manured, free-draining soil that won’t get waterlogged. Don’t re-plant leeks in the same position as they will become prone to pests. Sowing season: Spring for an Autumn harvest, Summer for a Winter harvest. Sowing method: In Spring, sow seeds indoors, transplanting when 15cm high. In Summer you can plant seeds directly 15cm deep. Watering: Water well until established, then keep soil moist but not wet. Fertilising: Add compost and mulch as plants grow. Leeks will tolerate light frost but mulch loosely around the base to protect them. As leeks grow, mulch up the sides of them to increase the length of white. Harvesting: Leeks will stay in a good condition left in the ground for several months over Winter, so they can be harvested over a long period. Lift entire plant. Good companion plants: Carrots, celery, onions, lovage, marjoram, parsnip, strawberry. Bad companions: Parsley, climbing beans, peas. Hazards: Don’t let leeks become waterlogged. Overly manured soil results in excessive tough leaf growth. Storage: Keep in the fridge for 3 weeks. Leeks will last for about 2 months stored in damp sand. Tips: Younger leeks have a milder flavour. Leeks are good soil improvers due to their strong root system.